Laura Humphries, Production Planning Assistant at Plater Production has rallied her work colleagues to form a team to take on the Bog Commander challenge on 5th May 2018 in Buxton. 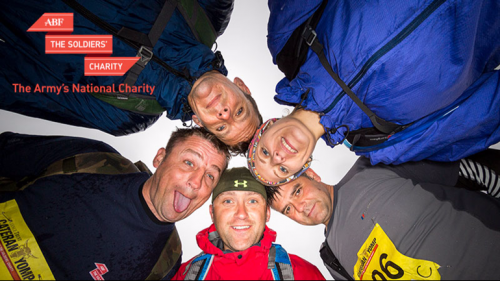 The team of 10, ‘Chafing The Dream’, have come together to take on brutal terrain, thick bogs, real mud and fiendish obstacles to raise funds for ABF the Soldiers’ Charity. ABF The Soldiers' Charity, exist to give a lifetime of support to the wider Army family, regardless of where or when a soldier served. They act swiftly and efficiently in providing support in the form of grants to those who find themselves in real need. Whilst this will be a fun event to take part in, the team are taking the challenge seriously and many of them are in training and even running to work to improve their fitness. MD, Bruce Hendon has kindly donated £500 to sponsor the team entrance fees and kit.